This is a sensitive topic. There’s no other way of putting this: trying to get a complex billing or technical problem fixed by a customer service rep, for whom English is a second language, is difficult. It can be stressful. It can also be easy and non-eventful, all while having saved you several dollars on your monthly bill. There’s no doubt about it – offshoring customer service makes good fiscal sense, but can breed extreme angst and frustration in customers. The Telecommunications Industry Ombudsman (TIO) released reports this week demonstrating that despite a small improvement, customer satisfaction with communication companies is poor. The overwhelming majority of nearly 194,000 complaints were about customer service and billing, with customer service being the #1 gripe. The report was not explicit about the impact of offshoring was on this figure, so it would be hard to place all the blame there (roaming charges, and the way they’re explained, were also a big factor). But we speak to thousands of frustrated consumers every month, and the frequency with which we hear ‘thank God you’re Australian!” (CompareBroadband is in Melbourne) is startling. Some people can be quite agitated, but the vast amount of people we hear from bear no ill will to customer support staff in other countries – they’re simply at their wit’s end after some unfortunate interactions. - The difference in cost between hiring an Australian call centre worker and hiring offshore is no small thing. An Australian call centre worker typically earns between $3000 and $4500 a month. A worker in the Philippines earns around $470. The Philippines will be the main destination for some time. The Filipino accent is similar to an American accent, and American companies drive the price down. When an Australian company comes along, they have to go with where the market is driving down prices. - It’s important to recognize the problem for what it is. Most, if not all offshored customer support staff can speak English, and speak it well. The problem is with accent and idiom. Smalltalk can make all the difference in a strictly verbal interaction, demonstrating a depth of character and allowing a bond to form over shared frustrations – and it’s far too much to expect anyone to do that in a language not their own. Even for people who speak English regularly (as in the Phillipines, South Africa and Sri Lanka) have a different lifestyle and frame of reference. With that in mind, it’s important to consider how you approach speaking to customer service. By keeping interactions strictly on topic, you’re allowing that person to get to a solution quicker. You can vent your frustrations- you’re only human – but before getting too worked up, consider whether telling an entire story is going to help get your issue resolved. - That said, it’s on the service providers to make their plans less complicated, which would drive in fewer calls anyway. - The big providers use a mix of onshore and offshore support; don’t assume you’re calling overseas. Even so, many call centre workers in Australia are from another country, as within all industries. Primus has long boasted an entirely Melbourne-based sales, service and technical support team, and the results show. Primus regularly tops customer satisfaction polls, and was by far the least-complained about service provider to the TIO in the 2012 report of the Top Ten largest telcos. Primus is priced higher than many competitors for bundled ADSL, but is very competitive in Naked DSL and Mobile phone services. Monday to Friday - 7:00am to 9pm. Saturday - 8:00am to 5pm. Internode has long been a South Australian champion, boasting an all SA workforce where every employee is cross trained to provide information on billing, technical support and sales. They’ve only recently started expanding their call centre operations around Australia (as part of their merger with iiNet), but so far have remained firmly Australia-based. Internode cuts no corners on service or on technological investment, and so are priced at a premium- but you do actually get what you pay for. Internode consistently tops customer service polls and has been named Hope ISP of the year by Roy Morgan research for 2012. MyNetFone keeps its product lineup fairly uncluttered and to-the-point: Naked DSL by default, standalone DSL (with a phone line from Telstra) at the same price. Their Sydney-based customer service centre has been striving for excellent customer service, and it’s paid off; MyNetFone now boasts over 100,000 customers, with strong growth in 2012. Amaysim is mostly a mobile provider, but they do have mobile broadband plans. Their contact centre is based out of Sydney. 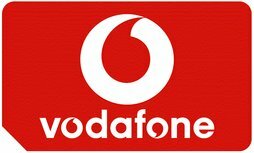 Vodafone maintains several centres around Australia, mostly in Victoria and Tasmania. They recently cut 500 jobs; whether this will mean shifting some roles overseas remains to be seen. It is believed that some inbound and outbound sales roles have been shifted overseas. 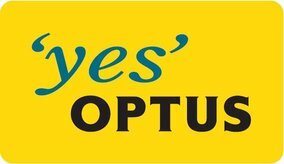 Optus maintains sales and customer service staff in Australia, but has been steadily moving some of these roles to the Philippines. Optus stores are widely scattered around the nation, providing face-to-face account administration- with more on the way. Club Telco base their customer service in the Phillipines, but maintain a very uncluttered and basic plan structure, and can organize an account manager whom you speak to every time. Telstra started with a policy of keeping ‘customer facing staff’ in Australia, but slowly, these jobs have been drifting to the Philipines as well. Escalations are usually transferred to Australia, and Telstra still maintains several call centres and other back-office staff roles all over Australia. Telstra Shops have become adept at handling customer complaints and enquiries as well. 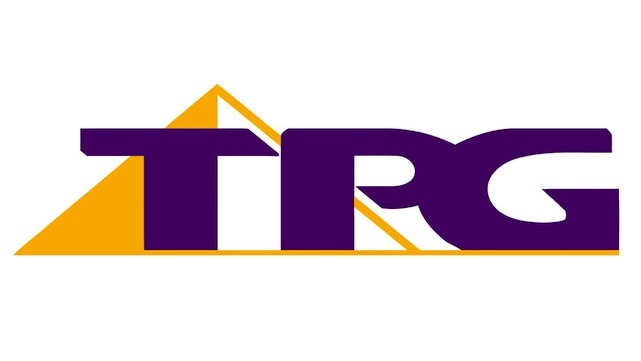 TPG exclusively uses support and customer service based in the Philipines, but their complaint levels are very low – less than 4000 for the year, for a company with nearly one million customers. Part of the general satisfaction with TPG might have to do with their simple, attractive plans, and bare-bones approach to customer interactions. They tend to treat broadband and phone as a utility, and refrain from upselling when you call. Dodo has been steadily improving the quality of their service and support, but still maintain almost all call centre operations overseas. 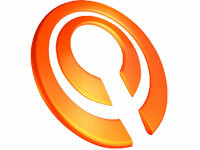 They use this to consistently offer the most affordable plans in the market. - With broadband, go for ADSL (even if you don’t use a phone service) and go for more data than you think you need. - Avoid mobile broadband if you don’t need the ‘mobile’ part of it. - Buying a phone outright and going with SIM-only mobile plan is usually a beat cheaper overall, but offers remarkably better value. Plans that come with subsidized handsets almost always come littered with a complex web of exclusions and conditions. - If you are in a situation where communication with customer service just isn’t happening, do ask to speak to a team leader, and accept a callback if they’re busy. A senior representative is usually more adept at communication, or at least less exhausted after a long shift and not stuck in auto pilot! This applies to any call centre, or customer service interaction, anywhere. - Don’t get angry, even if you’re angry. Certainly be firm if you’re not getting satisfaction, but never yell, scream or swear. Use the TIO if escalations are getting you nowhere. - Remember to give us a call on 1300 106 571 if you need help in determining a plan that meets your needs, while still offering customer service that you’ll be happy with.